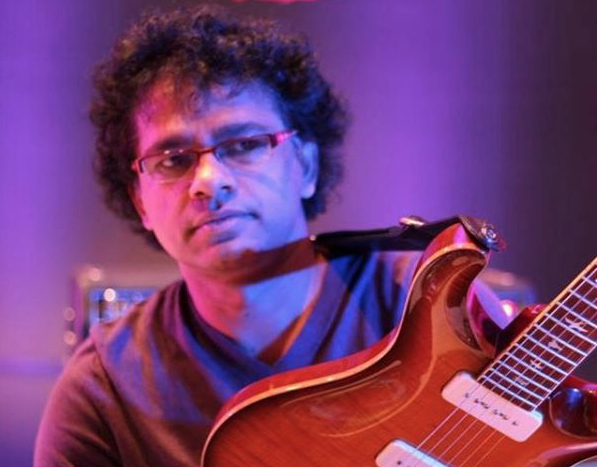 A trailblazing guitarist and composer from India, Prasanna has redefined the scope of the electric guitar by becoming the world’s most pioneering artist of traditional Indian Carnatic music on this instrument. Extending his signature far beyond traditional music, the Berklee and IIT alum Prasanna is equally well versed in Jazz, Rock and many other contemporary western and world musical styles. He is also an acclaimed film composer having scored music for the Oscar winning documentary ‘Smile Pinki’ among others and has been a guitar mainstay of Academy Award winning Composer A.R. Rahman’s body of work for over 20 years stretching from native Tamil films in India to latest Hollywood films like Disney’s ‘Million Dollar Arm’ and Spielberg/Oprah Winfrey’s ‘Hundred-Foot Journey’. Prasanna and the “Ambient Bollywood Carnatic Disclaimer” Band – An overdose of habanero, malagueta, and assorted chilies spread over some high tension Bollywood and Carnatic material!! Come and handle the spice head on with this pungent band! No Replies to ""Ambient Bollywood Carnatic Disclaimer""